With over a decade of experience in sourcing top level executives, Skills Provision have become experts in the field of executive headhunting. Companies choose Skills Provision because of our first-class record and our work is unrestricted by national boundaries. This means generated results are a lot more expansive than those produced by companies operating within set regions. 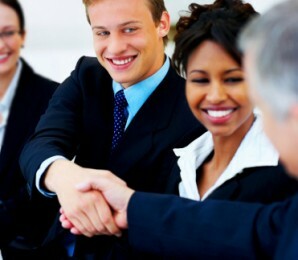 Each new client is allotted their own executive search consultant. This helps with continuity and developing strong relationships. If needed, assistance can be given on a job description document, this is an important element as it formulates the cornerstone for effective recruitment. Our confidential approach protects corporate identities whilst being GDPR compliant. Candidate short-lists are pre-screened, this saves a client a lot of time. If needed, we can arrange formal interviews and be present on request of the client. Sourcing top level executives is a time-consuming task, as a rule of thumb it can take up to 6 months to complete. To that end it is important to be forward thinking. If the departure of top-level executives is known in advance, this will allow the recruitment process to start early. The most important aspect for all executive headhunting is to select the most suitable candidate(s), employing people that will make a positive impact in the environments they move into. If you would like more information on our executive headhunting services, please call +44 (0)2079890750. Please note, even general enquiries are treated in the strictest of confidence.